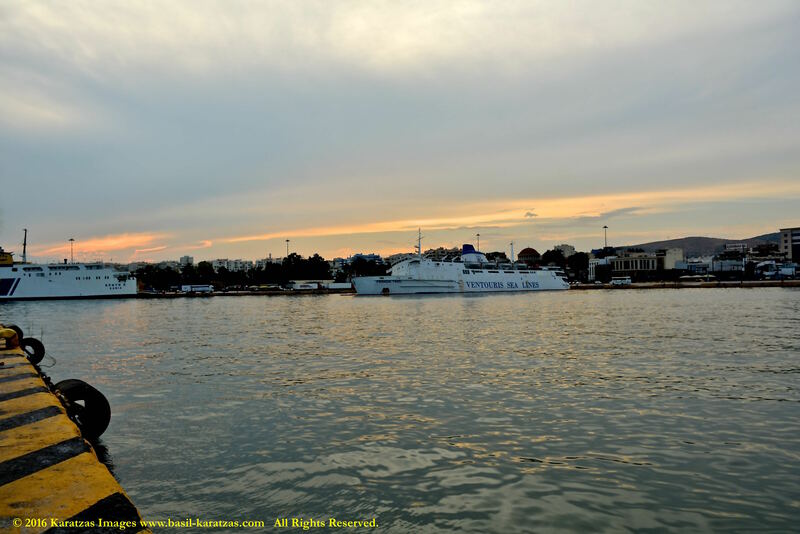 Posted on October 29, 2016 by Karatzas Marine Advisors & Co. 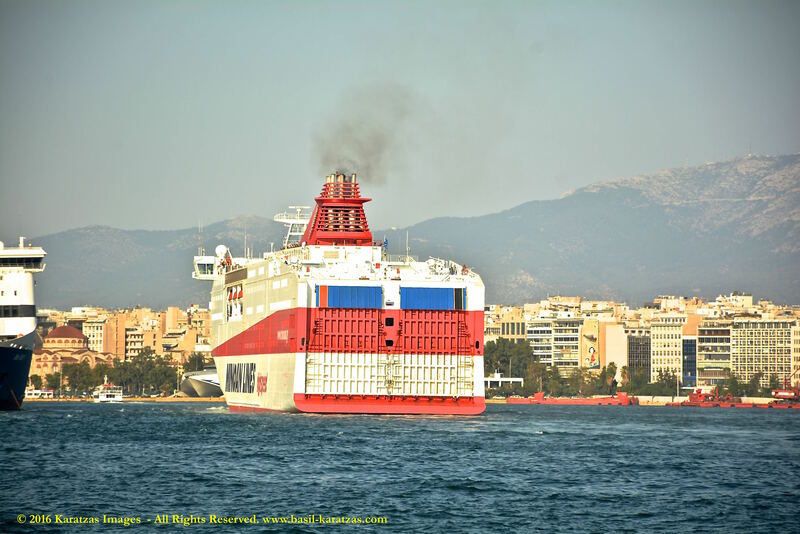 VESSEL IDENTIFICATION: Ex-names are Lefka Ori, Kriti V, Hercules. 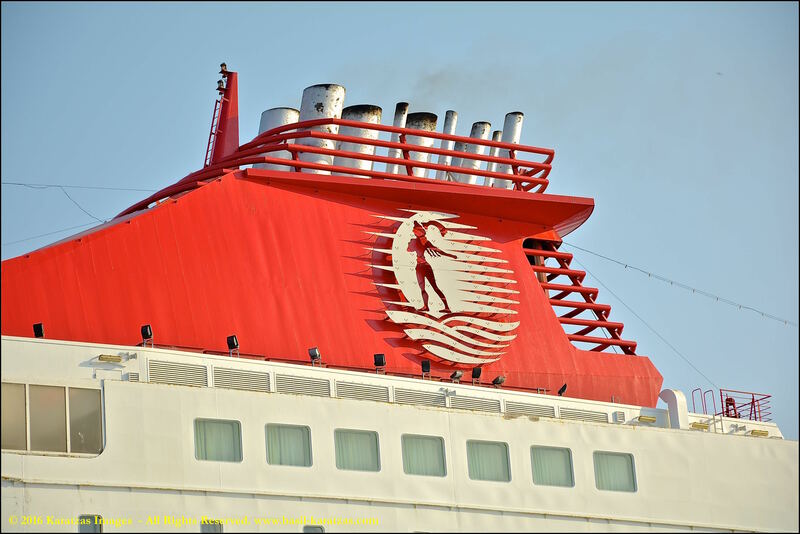 Call Sign SWDA, IMO Number 9035876. 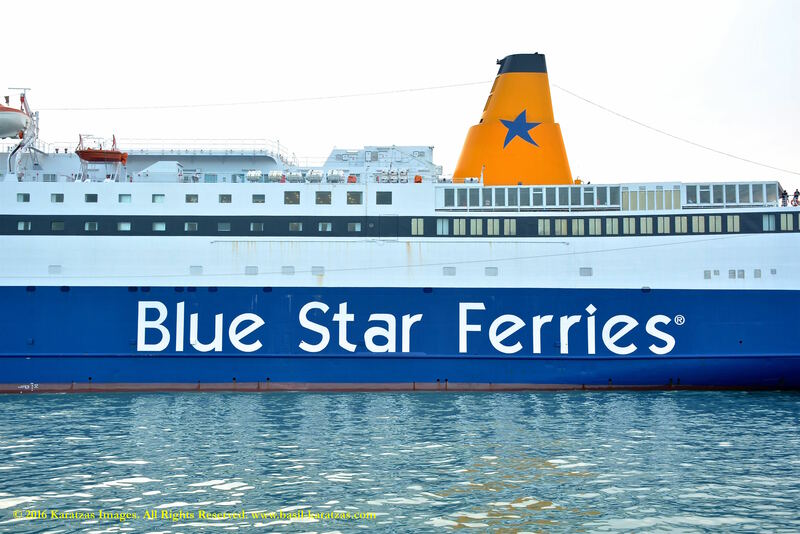 Vessel’s description on Blue Star Ferries’ website, please click here. 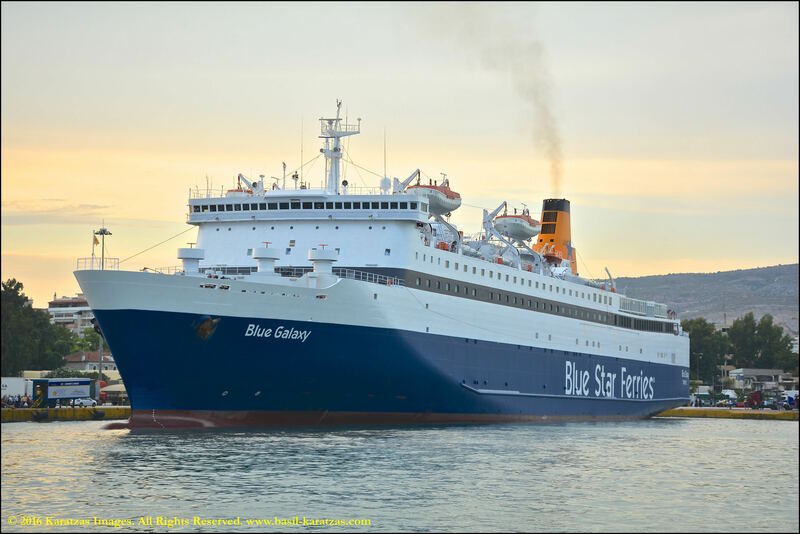 Additional info on the Vessel, including pictures with different house colors, please see The Ferry Site. 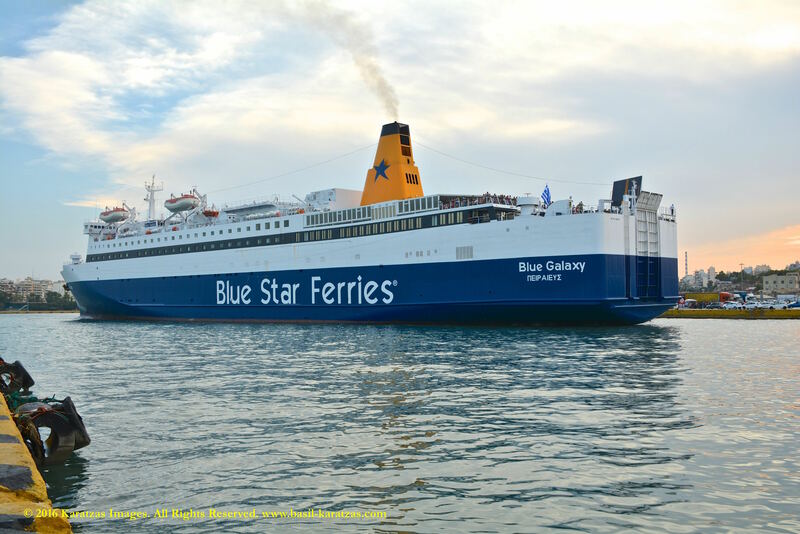 VESSEL OWNERS / MANAGERS / OPERATORS: Blue Star Ferries SA, Greece. 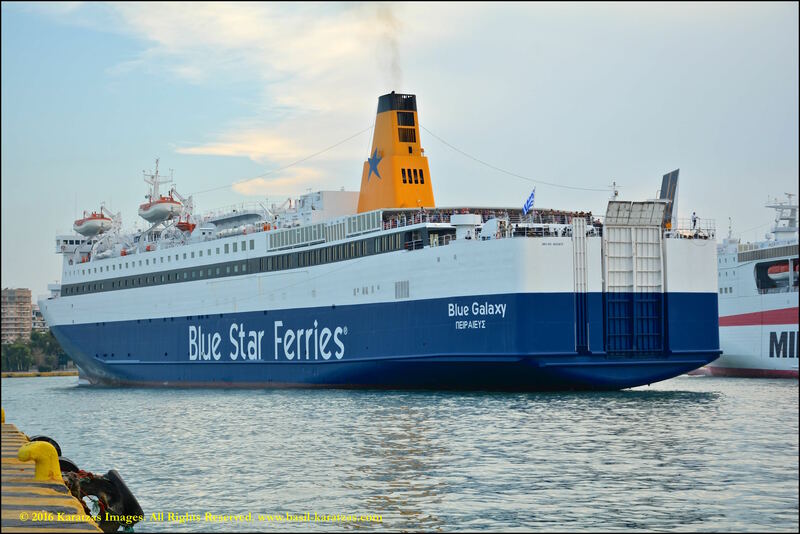 Blue Star Ferries SA is a subsidiary of Attica Group. Reported sold to Anek Lines in December 1999 for US$ 50m. 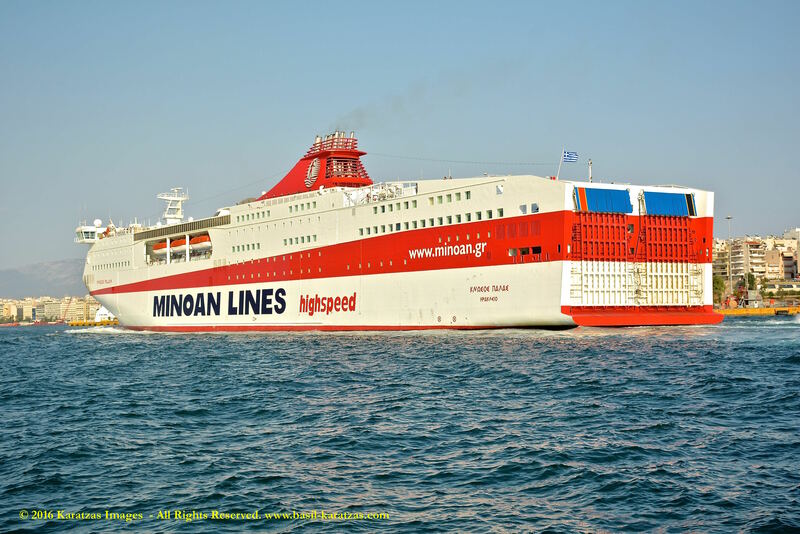 VESSEL DETAILS: Built at MHI Shimonoseki, Greece Flagged, RINA Classed, Length Overall of 192.00 m., Length Between Perpendiculars of 181.00 m., Draught of 6.75 m., Beam of 27.00 m., Moulded Depth of 9.90 m., Tonnage of 8,826 International Net and 6,802 Dwt (long)., Gross Tonnage of 29,430. 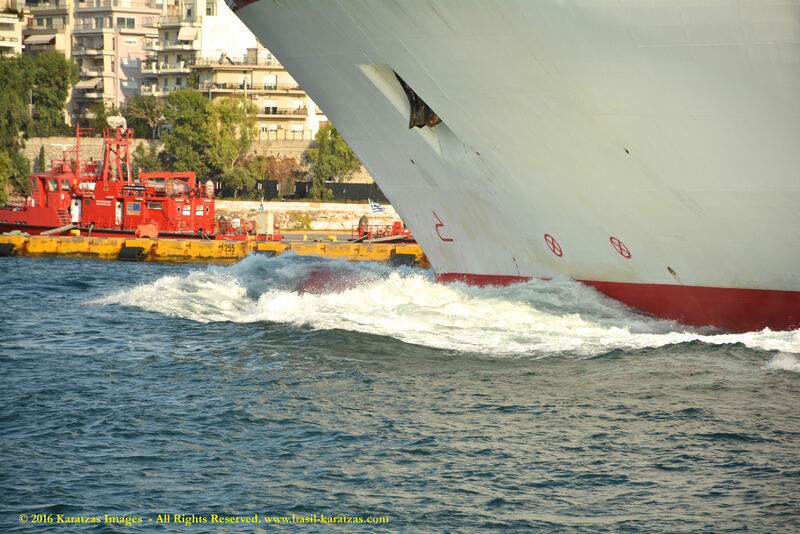 Vehicle Capacity of 703 Cars, Lane Length of 1,760.00 m., 2 Stern Ramp(s), 1 Quarter Ramp(s), 1 Bow Ramp(s). 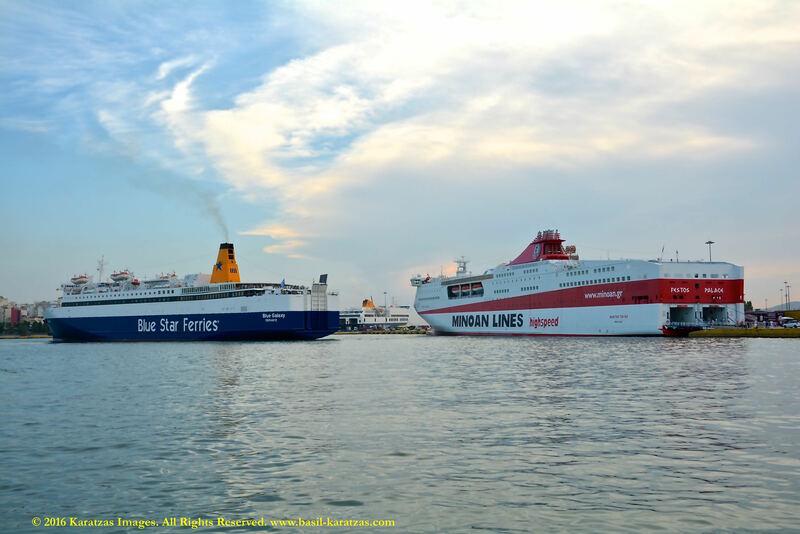 Total number of Passengers 1,500, 183 Passenger Cabins, 658 Passenger Berths. MAIN ENGINE: Pielstick Engine, Speed of 24.00 kts, Heavy Fuel Oil, Horsepower of 30260. 2 x Diesel – Pielstick 12PC4.2 – 4-stroke 12-cyl. 570mm x620mm bore/stroke 22,258mkW total at 400rpm. PROPULSOR: 2 x CP Propeller (Aft) (mechanical). THRUSTERS: 2 x Pos, Tunnel Thruster (Fwd.) (electric) AC. 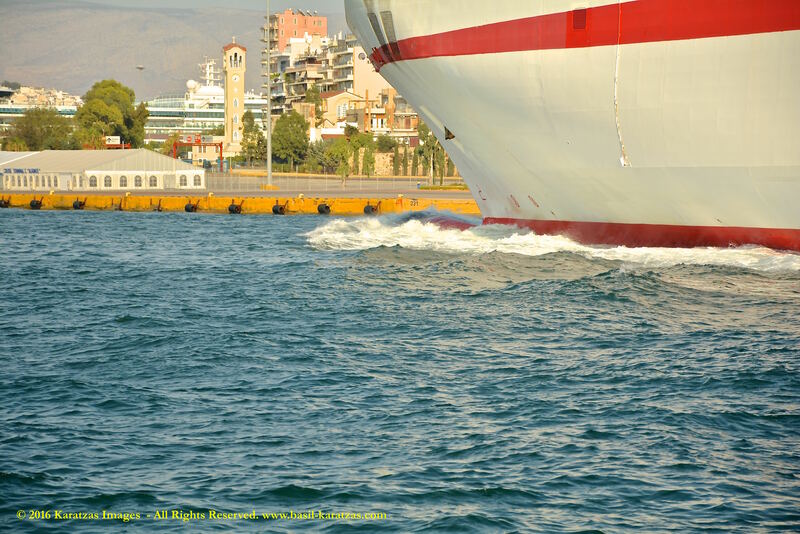 2 Bow Thruster(s). 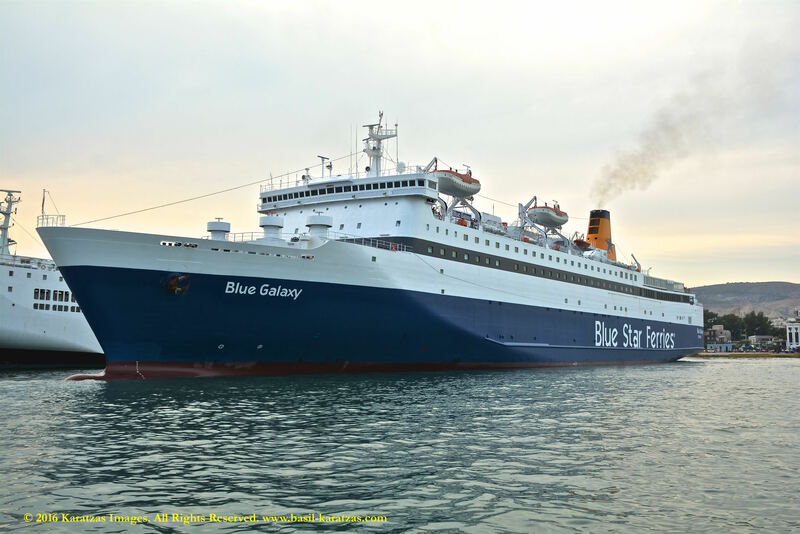 According to Arxipelagos.com, MV ‘Blue Galaxy’ was built in 1991 and delivered to her owners in 1992 by Mitsubishi Heavy Industries Ltd (MHI) in Japan under the launch name MV ‘Hercules’. 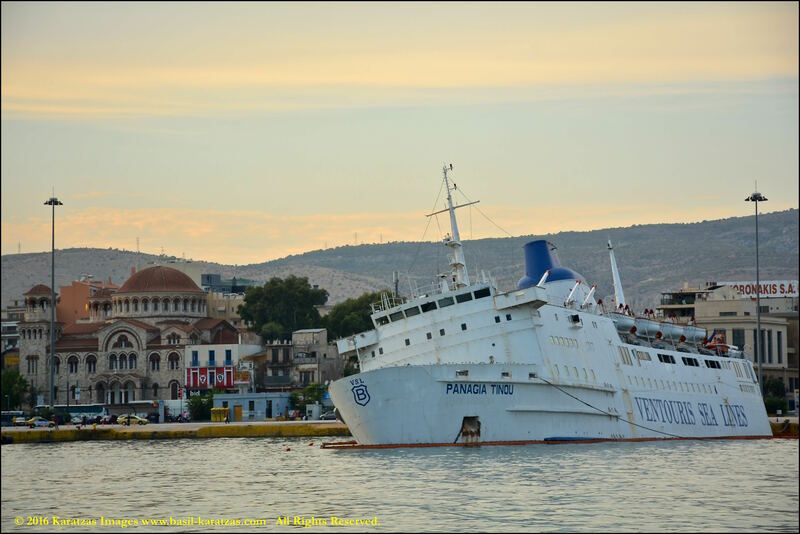 In late 1999, the Vessel was acquired by Anek Lines in Greece for US$50 mil and renamed MV ‘Kriti V’. 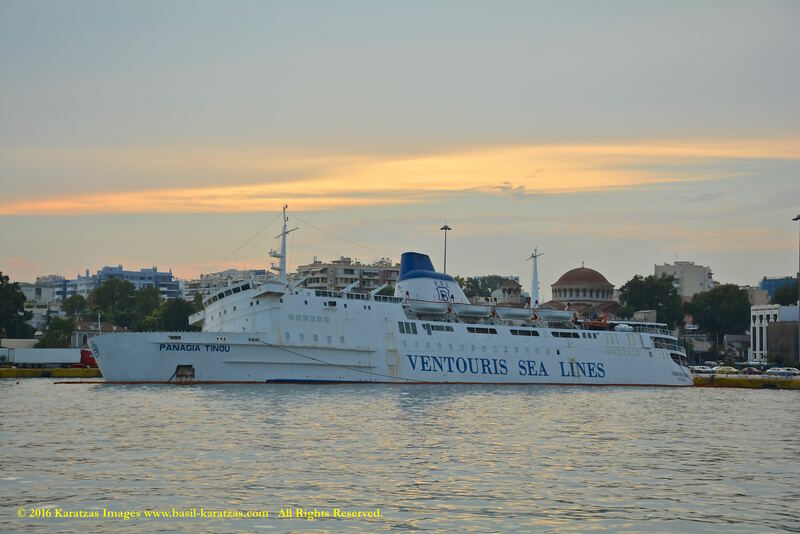 In 2000, the Vessel was positioned in the Adriatic Sea to trade between ports in western Greece and Italy under the new name MV “Lefka Ori’ (‘White Mountaintops’). 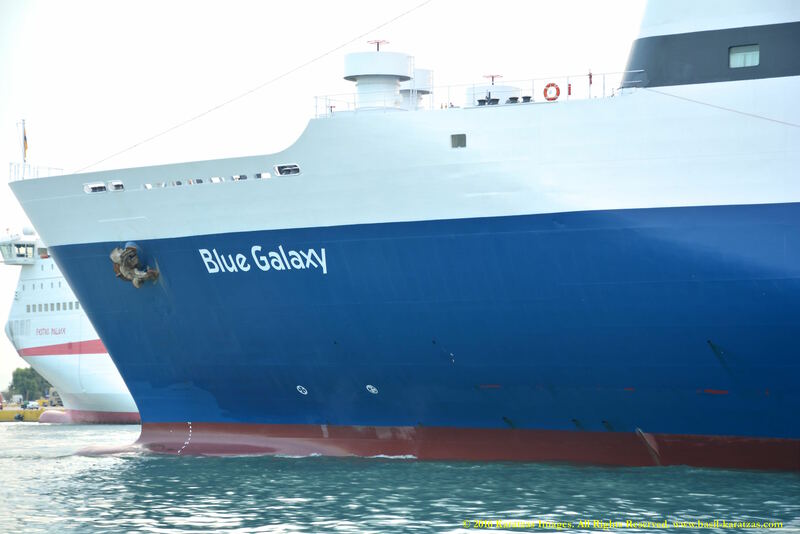 In 2012, the Vessel, under the bareboat charter name MV ‘Antonio L’, along sistership vessel MV ’Sophocles B’, were chartered to Jeju Cruise Lines; while still under conversion in Ulsan in South Korea, charterers defaulted and vessels were arrested and auctioned, and purchased by Hellas 2 Leasing N.E., and were re-positioned to Greece under the original name, MV ‘Lefka Ori’. 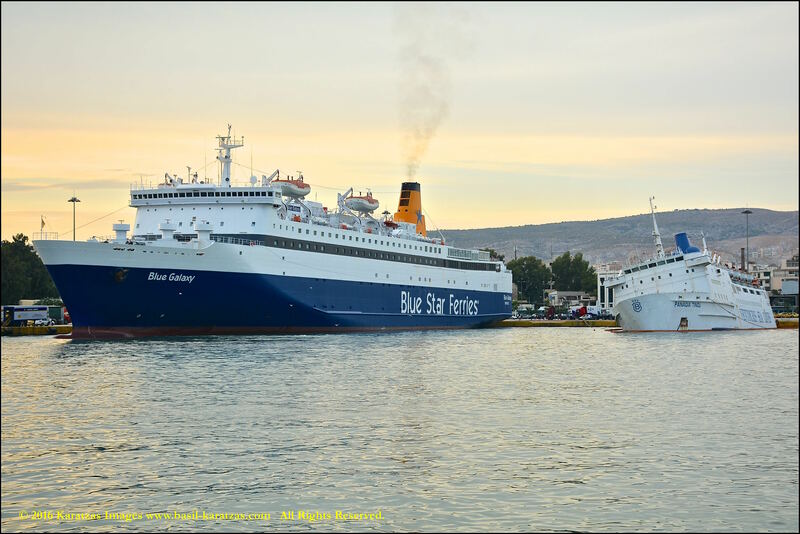 In 2015, Blue Star Ferries NAE, a subsidiary of the Attica Group, entered into a long term charter party agreement with the owners of the Vessel, and after extensive upgrading, she is now deployed serving the routes to and from Crete, under a route sharing agreement with ANEK S.A., under her current name MV ‘Blue Galaxy’. 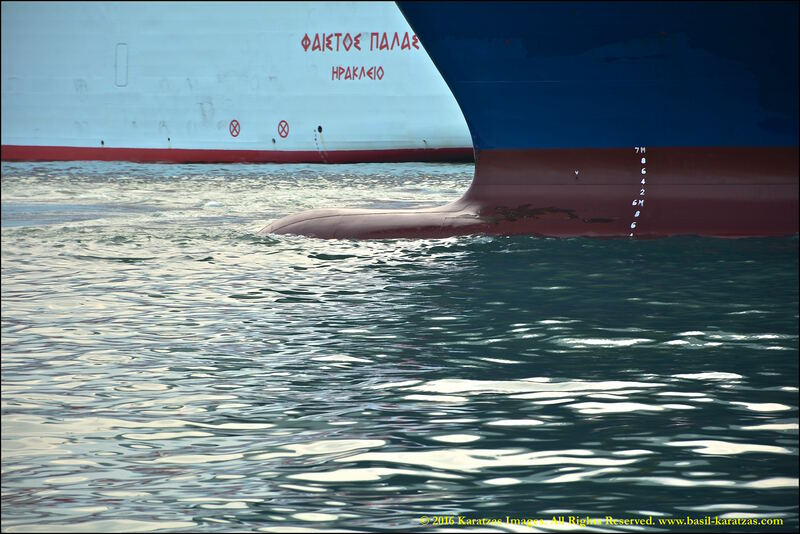 Posted on October 10, 2016 by Karatzas Marine Advisors & Co. 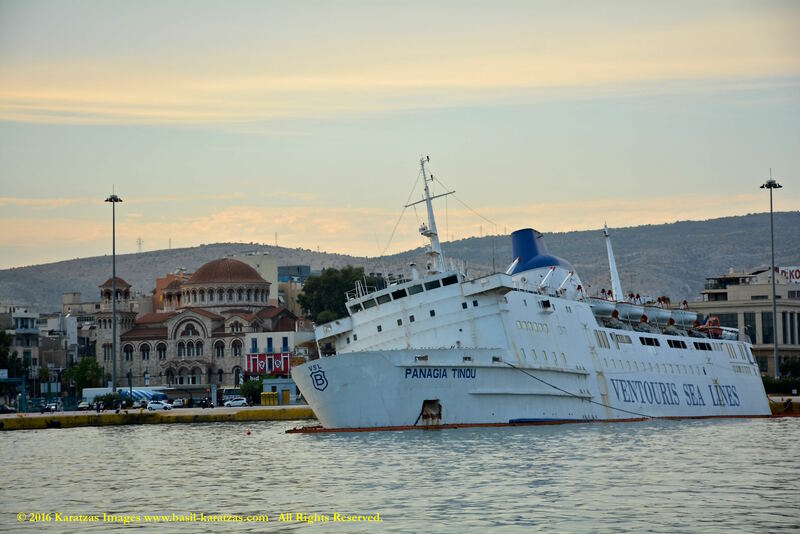 The vintage ferry MV ‘Panagia Tinou’ started listing in late April 2016, at Gate E3 in the main Port of Piraeus, which is primarily used by ferry boats, passenger vessels and cruiseships. 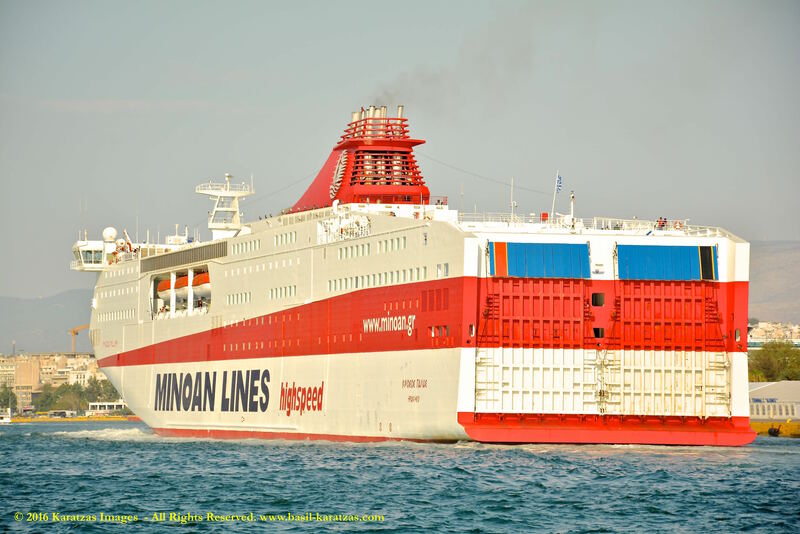 In June, a tender was extended by the Greek government for the removal of the vessel with a maximum bid of €360,000. There were no bidders then as the threshold was deemed too low for any salvage and removal operation. 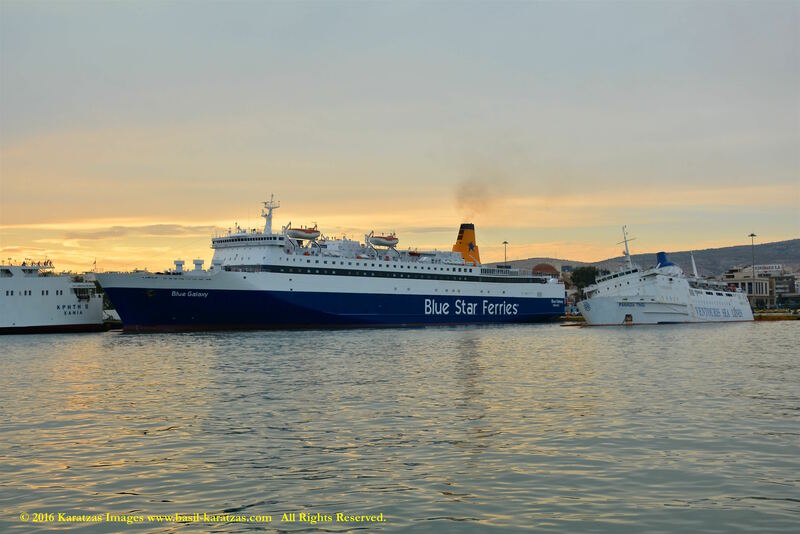 A new tender has been announced with a October 20th, 2016 deadline, but with €160,000 maximum bid, accordingly to the Greek shipping and business newspaper Naftemporiki. No bidders are expected for the new bidding round, as the threshold is considered too low again. 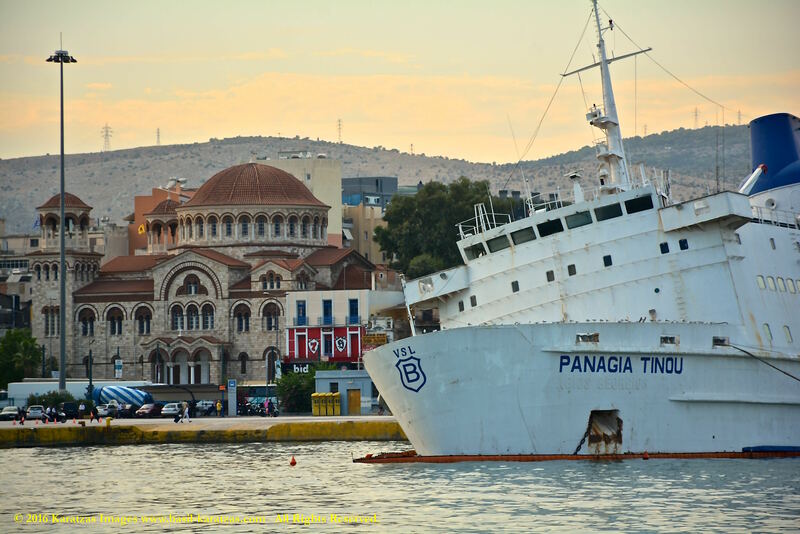 It is rumored that if no bidder emerges from the new round, the Port of Piraeus will undertake on its own to remove the vessel. 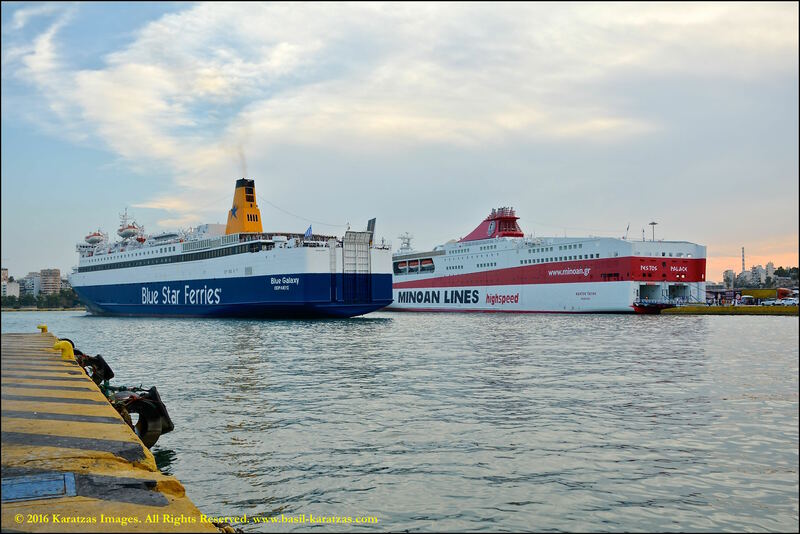 It’s amazing that six months after the accident, the ferry is allowed to remain at a prime location within the main port, possibly being a cause of an accident, as much as an amusing sight it may be for locals and tourists alike. 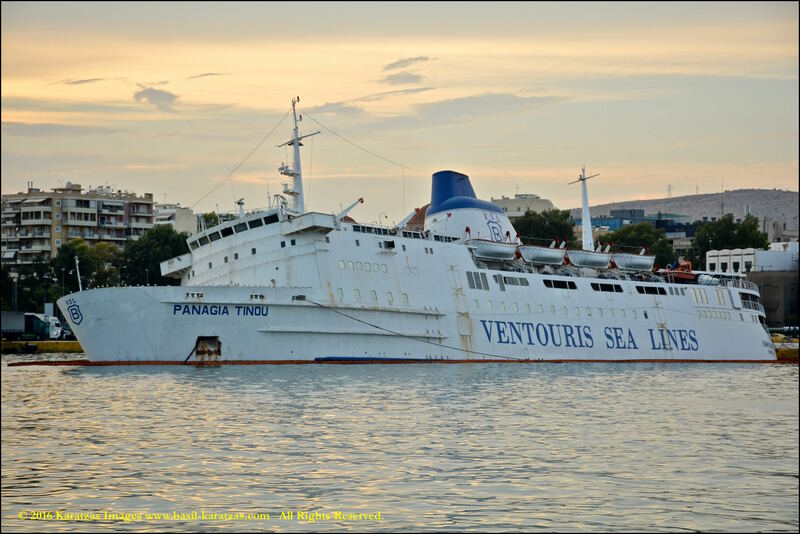 We posted pictures of the sinking ferry in out blog in June 2016; the present pictures were taken in the middle of August. 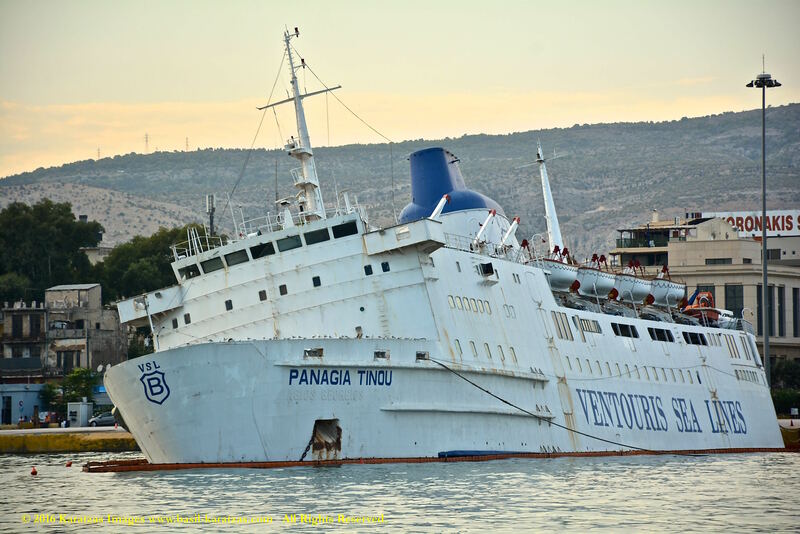 Images of the shipwreck ferry MV ‘Panagia Tinou’ from our previous posting can be accessed by clicking here and here! 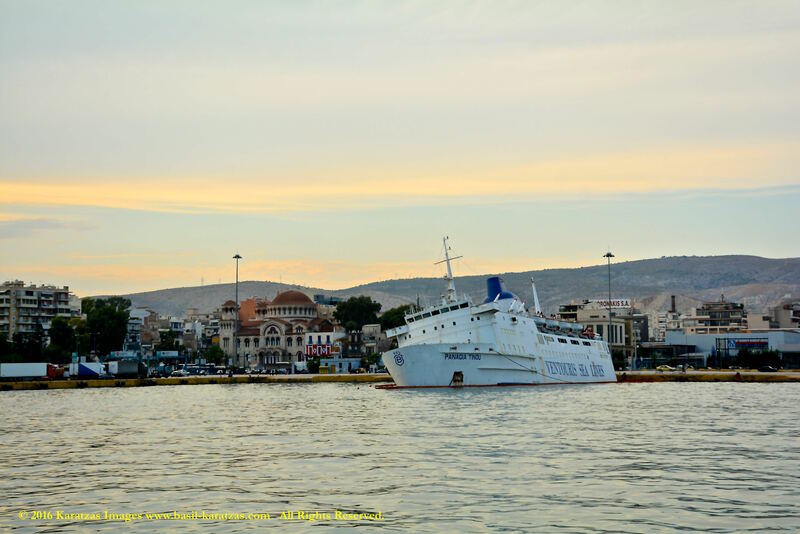 It’s a good thing that governments are never efficient; we have taken more than 1,000 pictures of the ship during our business trips to Greece! 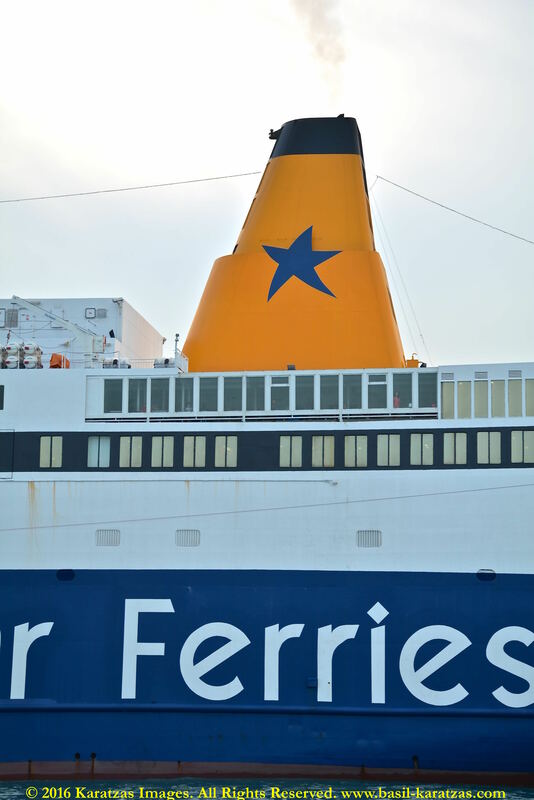 The ferry MV ‘Panagia Tinou’ was launched in 1972 in France under the name MV ‘Hengist’ to serve the routes of Dover / Folkestone and Calais / Boulogne. 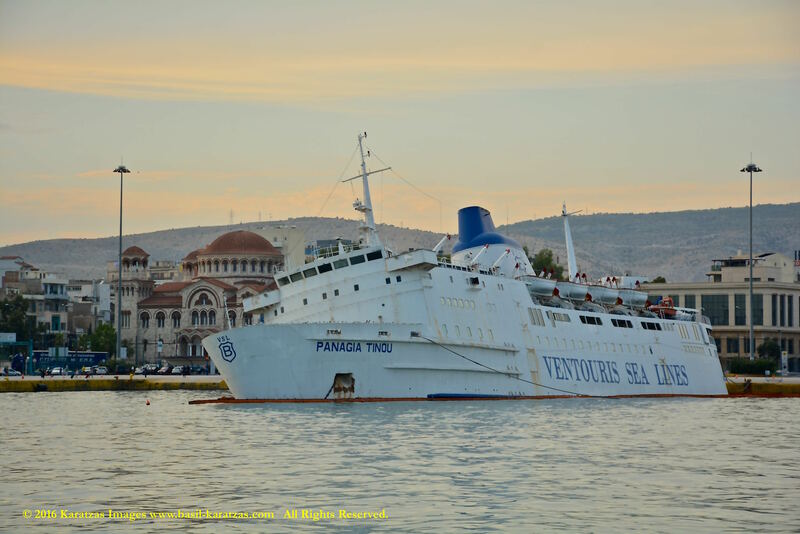 The Vessel has had a long line of owners during her career; since 1992, the Vessel had been plowing the waters of the Aegean Sea, being the source for sweet memories for vacationers and tourists alike. 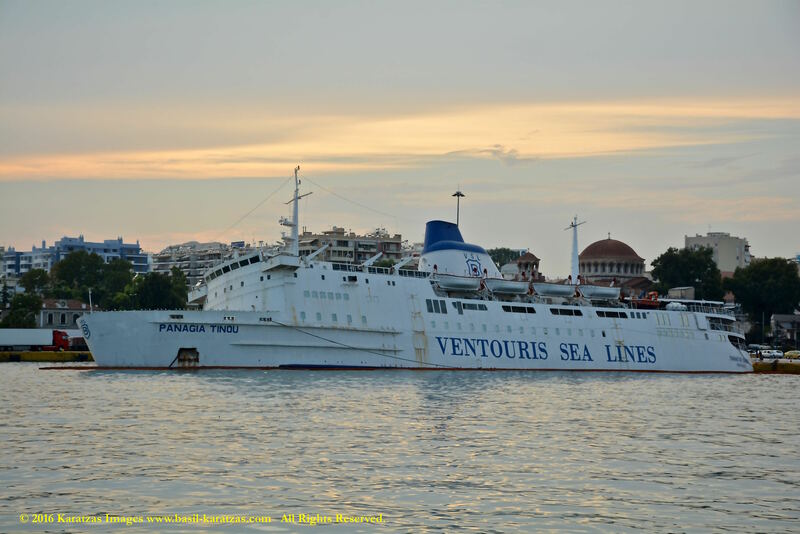 The last owner, Ventouris Sea Lines, defaulted on loans by the government and the Vessel has been impounded for more than two years now, berthed in the Port of Piraeus. 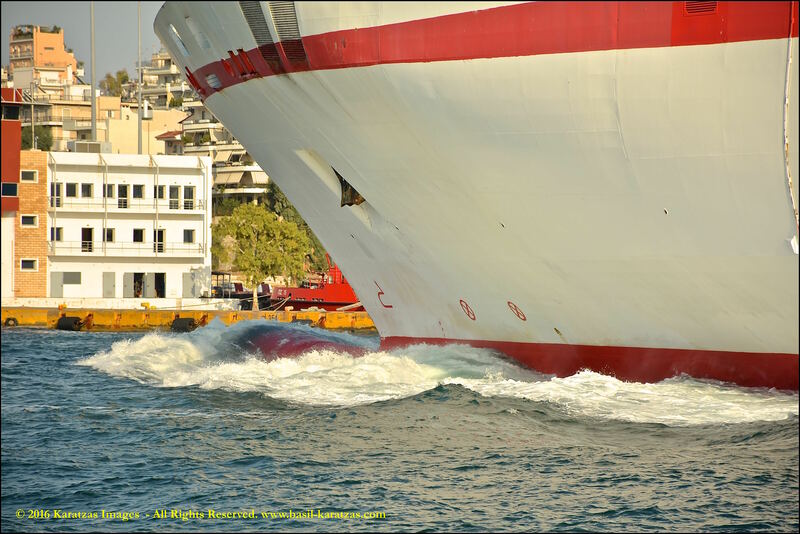 Posted on October 7, 2016 by Karatzas Marine Advisors & Co. 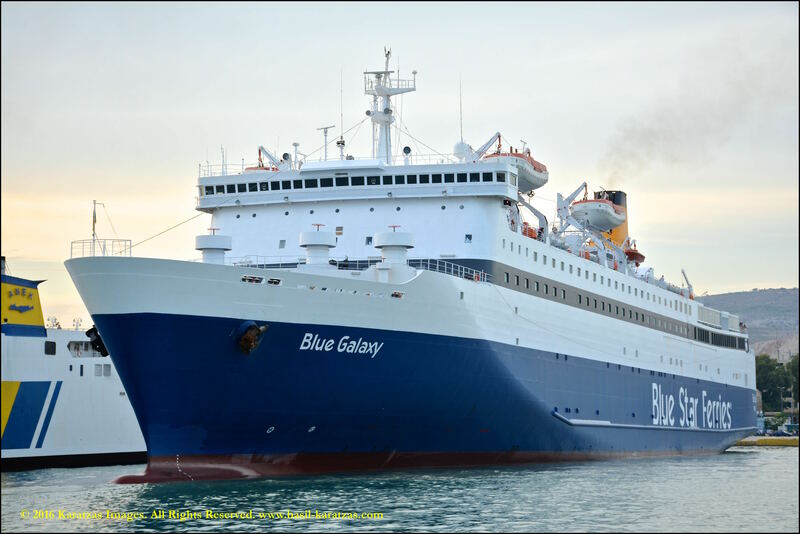 VESSEL IDENTIFICATION / DESCRIPTION: Call Sign SYQO, IMO Number 9204063. 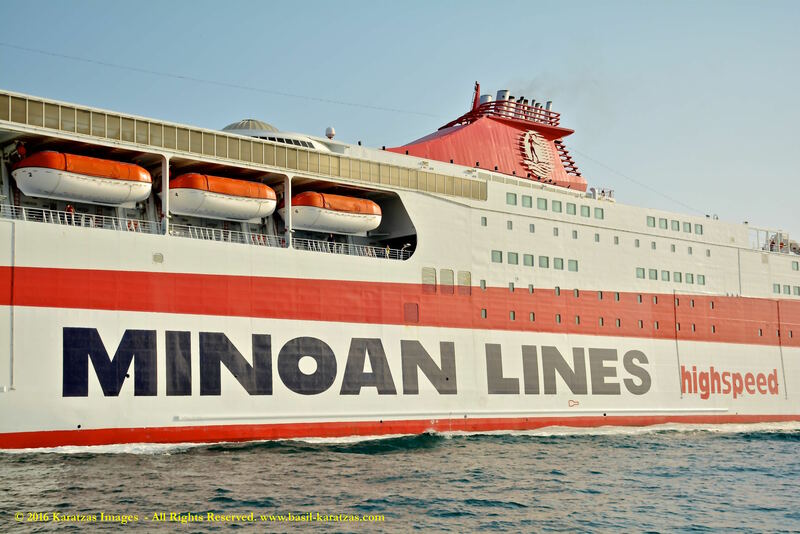 Built at Fincantieri Sestri, Greece Flagged, RINA Classed, Length Overall of 210.00 m., Length Between Perpendiculars of 191.20 m., Draught of 7.30 m., Beam of 26.40 m., Moulded Depth of 15.67 m., Tonnage of 15,806 International Net, 2,711 Light Displacement and 5,406 Dwt (long). 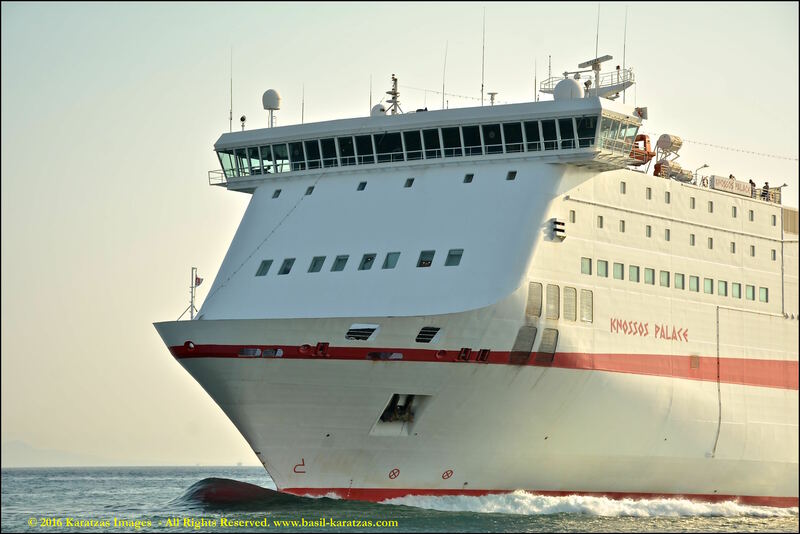 Gross Tonnage of 24,000, Wartsila 4-stroke Engine, Speed of 29.50 kts, Heavy Fuel Oil, Horsepower of 91360, Bunker Capacity of 1,000 tonnes. 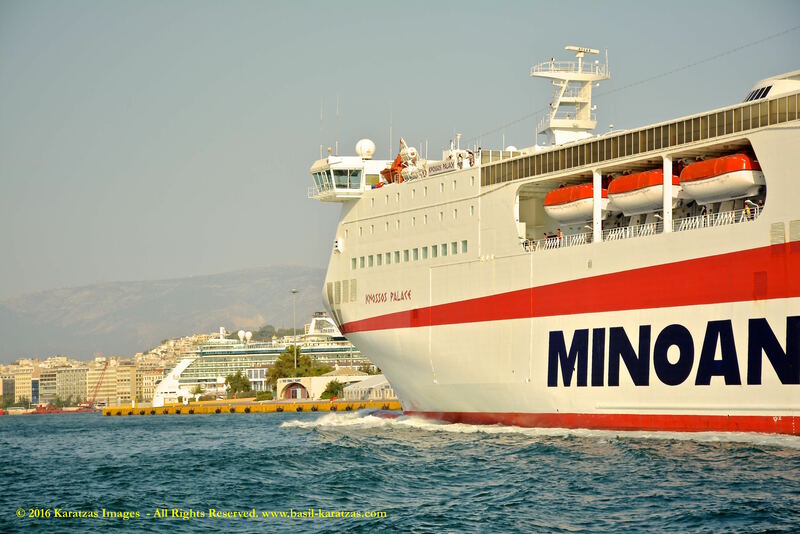 VESSEL OWNERS / MANAGERS: Minoan Lines Shipping S.A., Greece. 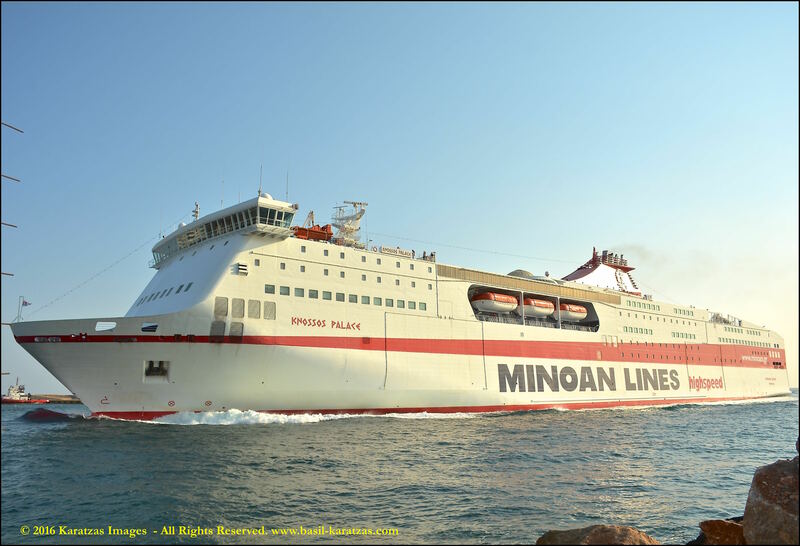 Minoan Lines Shipping S.A. is a subsidary of Grimaldi Group. 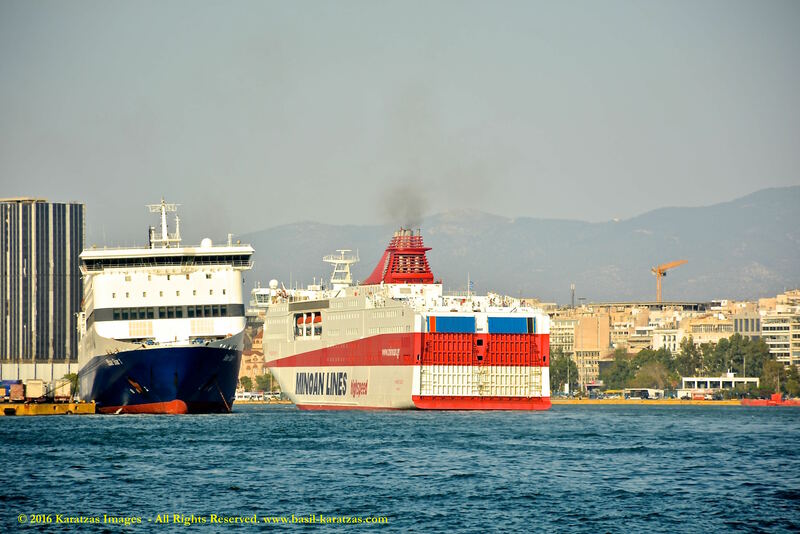 CARGO HANDLING DETAILS: Vehicle Capacity of 600 Cars, 97 Trailers, Lane Length of 1,550.00 m., 1 Side(s) Door/Ramp(s) with a Length of 14.00 m. and a width of 3.20 m., 1 Stern(p) Ramp(s) with a Length of 15.00 m. and a width of 6.50 m., 1 Stern(s) Ramp(s) with a Length of 15.00 m. and a width of 6.50 m.. Total number of Passengers 2,200, 230 Passenger Cabins, 760 Passenger Berths. MAIN ENGINE: 4 x Diesel – Wartsila 4-stroke 16V46C – 4-stroke 16-cyl. 460mm x580mm bore/stroke 67,195mkW total at 514rpm. 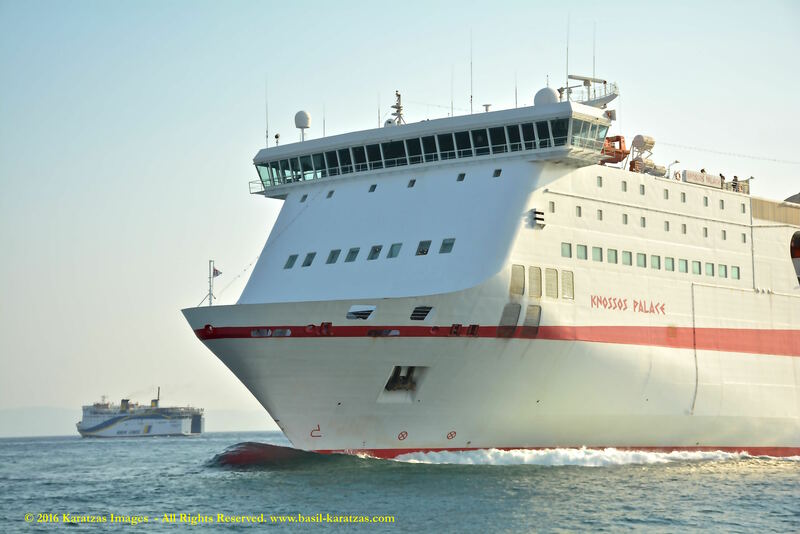 Vessel description on Owner’s website: http://www.minoan.gr/en/ships/406/hsf-knossos-palace Images of the Vessel from 2014 had also been posted on our blog at MV ‘Knossos Palace’, June 2014.